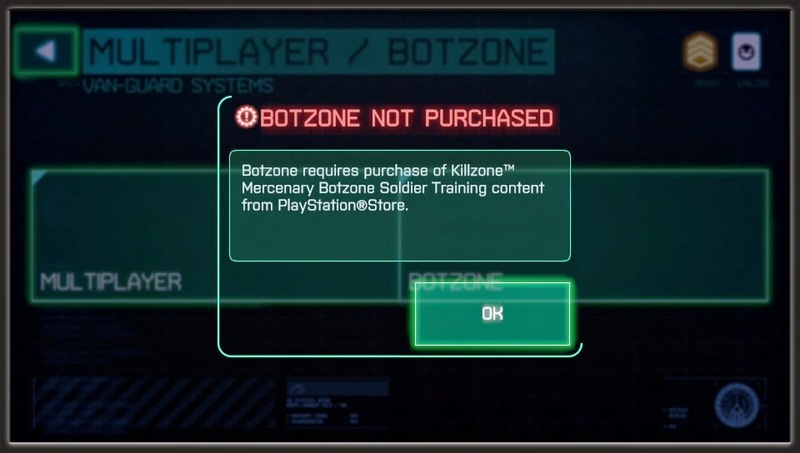 The Botzone Soldier Training Pack should be available soon on the PS Store... for purchase? The long awaited offline bots for MP on KZ Mercenary is here. 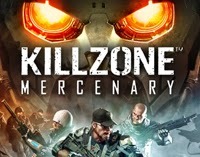 According to the US PS Blog the update will allow all of the multiplayer maps to be played offline in Mercenary or Guerrilla Warfare modes, against up to 7 AI soldiers. As the game host, you’ll have control over the number of teammates and enemies joining you in battle. Clicking on your new "Botzone" option tab within the 23 MB update to KZ brings the above picture up. I was really hoping this would be a free update. Sigh. The price is $2.49 on the store. This sounds like a fun way to keep the game going when you're not online, and you’ll have the chance to collect some of those harder-to-obtain multiplayer trophies in an offline arena. What do you think? Will you purchase this pack for $2.49? Let us know below.